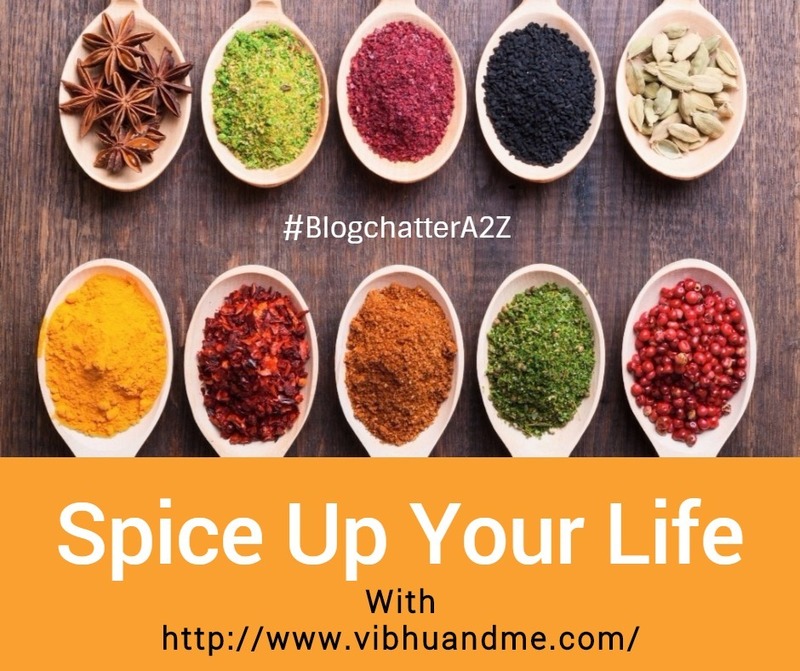 So far with my posts on spices, I am sure you have got the notion that I love different spices. With plenty of spices available in our markets and in online stores, we have the freedom to experiment with our taste buds. However, most of us tend to use the same spices over and over again, without even realizing that there are many alternatives available. For example, we have Long pepper which has the same spiciness as black pepper. But we always buy black pepper which costlier as well. Then we have Alkanet root for giving a beautiful red-orangish color to our curries. Sadly we buy food color which may be harmful to health. These days we have a fantastic opportunity to do dry-runs (I am sorry, I love this software term) with using a little different blend of spices. But we prefer sticking to the same well-tested recipe. The fact is global trade has heavily promoted some spices while completely neglecting others. And that's why our kitchens also have the same number of spices. You know that Cinnamon goes very well with fruits (especially with apple). 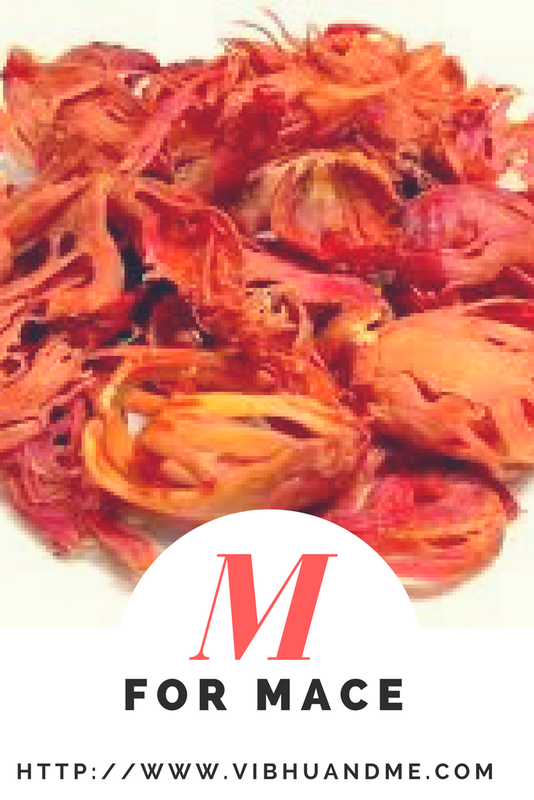 But do you know that Mace, which is also a spice, also goes wonderfully with fruits like peaches and raspberries. 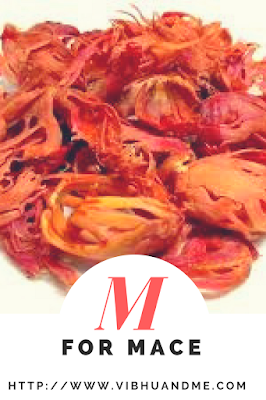 Mace is the native to Indonesia and commonly used in South Asian cuisines. It is called Javitri in the Indian local term. The spice is a cousin of another spice Nutmeg. Nutmeg is actually a fruit with a hard stone/seed at its center (like in peaches and plums). 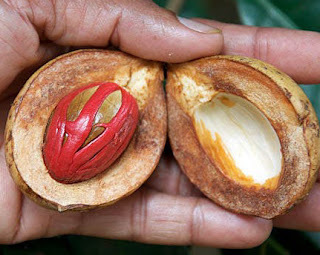 This seed is what we use as nutmeg. Now, there is a bright red webbing that surrounds the Nutmeg seed, which dries into what we call Mace. As obvious, the two spices have similar flavors. But mace is a whole different yet unique flavor, as worthy as other culinary spices. Mace is considered lighter, subtler, and sweeter than nutmeg. However, this is not at all sufficient to describe what Mace is. Mace gives you a blend of aromas and flavors all alone. Sweet as Cinnamon, hot as pepper, freshness as coriander, flavor as nutmeg, and aroma as basil and mint that can widen your nostrils. You get it? Mace is simply charming. Now it is said that too much of cooking makes the flavor of Mace go bitter. So, it is mostly used at the end of preparation to enhance the overall taste of the recipe. Again, Mace can be seen as a Garam Masala ingredient. 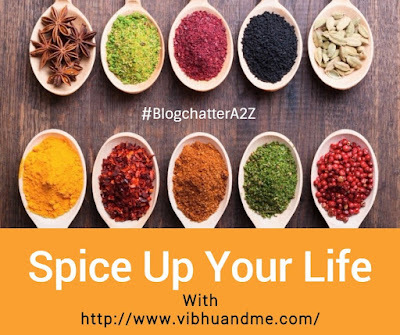 In my childhood, my father used to bring the mix of whole spices from the market, and my mother always prepared ground Garam Masala at home. Seeing something lacy and very light, which was Mace, I always wondered about its usefulness among other hard and known spices. But now I know Mace very thoroughly. Nutmeg along with its covering (Mace) was found in the Mummies of Egyptian era. I always feel that Egyptian were always ahead of time. As per my research, Roman author Plinky, in the first century A.D., wrote about two distinct flavors that were part of the Nutmeg tree, the seed Nutmeg and the pulp or covering of the seed, Mace. Historical evidence of the specific use of Mace is not much found. It is always covered with the history of Nutmeg which is quite surprising ( I would cover in my next post of the series N For Nutmeg). It is believed that in the 17th century, three nutmegs were sufficient wealth to allow their owner to purchase a small area of land near London. It was THAT expensive. Different Nutmeg trees give different color Mace. The mace from West Indies is generally yellowish. On the other side mace from East Indian nutmegs are actually orange when dried. Using Javitri powder in the form of toothpaste for brushing your teeth can keep all your oral problems like bad breath, toothaches, dry mouth, mouth ulcer and aching gums at a bay. This spice is easily available in spice stores with Name Javitri. You can whole or powdered mace and please use it wisely as it is very strong in nature.